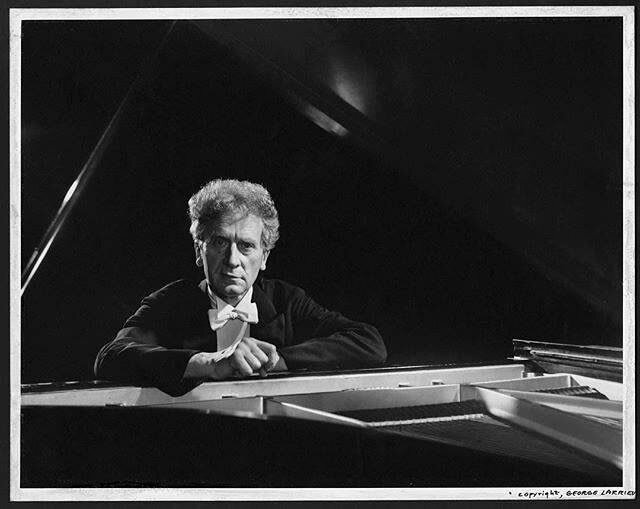 Percy Grainger was an internationally renowned composer and pianist who worked under the stage name of Percy Aldridge Grainger. Grainger was born in Brighton, 8 July 1882 - 20 February 1961. His extraordinarily full life also included pioneering work as a folk music collector and arranger, educator, social and musical commentator, clothing designer, painter and Free Music inventor. He was a skilled linguist and became known, in addition to his musical accomplishments, for his forthright opinions on many subjects. Percy Grainger preserved the evidence of his creative life - his archive, personal library and many of his possessions in his Museum or 'Past-hoard-house' on the campus of the University of Melbourne, the city of his birth. Percy is the guy who wrote 'English Country Garden' and maybe surprisingly invented something of an early synthesizer. Percy's lesser known father also left an indelible mark. He designed Princes Bridge, the north wing of the Melbourne Town Hall, Georges (Collins Street), and the music room for Dame Nellie Melba at Coldstream. Outside Melbourne, he designed the original Parliament House, the Government House ballroom and Supreme Court in Perth, the Sale swing bridge and the Albert Street Bridge in Adelaide.